Our supportive team of bargain hunters has listed the latest cross trainer deals and special offers available for you. Choose among the different UK retailers on where you can get the best cheap cross trainer deals and bargains. Save as much as 60% when you buy at Tesco, Amazon, Argos, and other UK retailers. 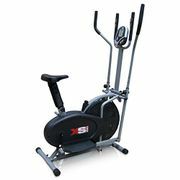 Whether you are looking for any kind of cross trainer, there are a variety of choices await you from reputable sellers. You can stack up your savings when you use voucher codes so you can shop wisely. Find the best cross trainer deals and discount codes online! 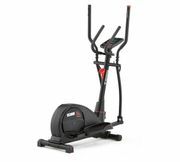 The elliptical cross trainer is a fundamental piece of gym equipment, usually found in the cardio section of any gym or health club. It’s a stationary piece of equipment, which includes two long handles and foot pedals. The exercise mimics the movement patterns experienced when walking, running and climbing stairs, to provide an effective, full-body workout. It is a stationary exercise machine used to simulate stair climbing, walking, or running without causing excessive pressure to the joints, hence decreasing the risk of impact injuries. For this reason, people with some injuries can use an elliptical to stay fit, as the low impact affects them little. Elliptical trainers also offer a non-impact cardiovascular workout that can vary from light to high intensity based on the speed of the exercise and the resistance preference set by the user. Most cross trainers work the user's upper and lower body. Though they are considered to be minimal-impact, they are an example of a weight-bearing form of exercise. They can be self-powered by user-generated motion or need to be plugged in for adjustment of motion and/or for supplying their electronic consoles and resistance systems. Accelerate weight loss. The benefits of using cross trainer machine for weight loss are evident, with many people successfully using this piece of equipment to accelerate their fat loss. Research suggests that cross trainers are preferable to some of the alternative machines, such as stair climbers and exercise bikes. 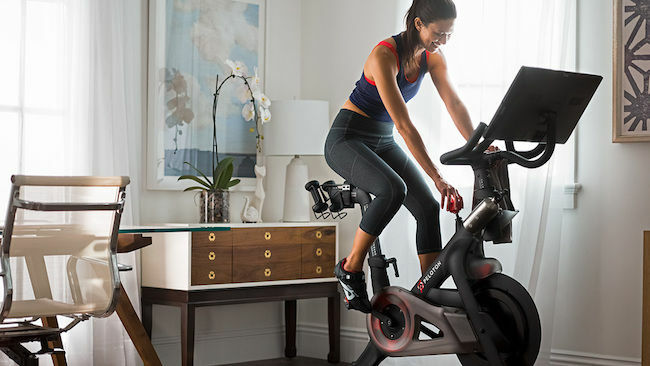 In terms of calories burned, workouts on elliptical cross trainers are comparable with the treadmill, but can often feel easier as larger groups of muscles are used to generate the movement. The precise number of calories burned during a workout on the cross trainer will depend upon a variety of factors, including age, gender and your current level of fitness, but it’s certainly one of the most effective machines to use if your goal is to lose weight. Protect your joints. When considering the pros and cons of the cross trainer vs the treadmill, this is one of the most important distinctions. A workout on the treadmill is considered a high impact workout. On the other hand, workouts using the cross trainer are impact-free. This makes them a fantastic alternative for people who experience joint problems or pain, as the amount of pressure applied to the joints, particularly in the knee and hip, are reduced significantly. Work the whole body. Unlike many other cardio machines, cross trainers work the entire body, providing a full body workout and increasing the number of calories burned. To give the arms an effective workout, simply hold onto the handles, pushing and pulling as you move your feet on the pedals. This works the entire upper body, including the chest and shoulders, It’s possible to make some adjustments to your cross trainer routine to help tone your core, including the all-important abdominal muscles. Vary the intensity of your workout. The best exercise routines contain a variety of intensities, used together to create an effective regime. When using a cross trainer, you can either choose to mimic a brisk walk, a run, or a challenging stair climb. In order to change the type of workout, you just need to vary the resistance of the machine, and the speed at which you move. If you’re trying to improve your fitness, introduce some high-intensity interval training. Prevent injuries and exercise safely. The cross trainer has an extremely intuitive design and the right technique can be learned in a matter of minutes. Similarly, it’s also one of the safest pieces of equipment inside the gym. Get stronger. While resistance training is often the exercise of choice for strengthening your muscles, using the cross trainer is an excellent alternative, or supplementary exercise to improve all-around strength. Increasing the resistance of the machine means that your body must work harder to achieve the same speed, so crank this up if you’re looking to gain strength. When using the cross trainer for recovery, it’s important to keep both the resistance and heart rate relatively low, compared to high-intensity exercises. Workout at home. If you wish to work out at home, rather than joining a gym, a cross trainer machine should be at the top of your equipment wish list. They’re relatively inexpensive, don’t take up much room, and provide you with a full-body workout. The cross trainer is often overlooked as equipment for a home gym, with many people choosing a treadmill instead. There are plenty of ways to save on your purchases online. 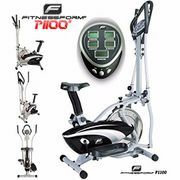 Most online UK shops such as Amazon, Tesco, and Sports Direct have regular sales, seasonal clearance, and flash sales where you can get up to 40% off on a wide array of quality cheap cross trainer. There are even retailers that have 3 for 2 and 2 for 1 offers on select items. Also, the best time to get huge savings is during Black Friday, Cyber Monday, and Boxing Day where an extensive selection of products like Life Fitness cross trainer and other top brand crossfit trainers machine from your favourite UK retailers are reduced to clear. 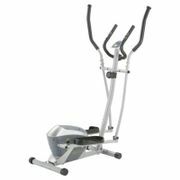 Knowing when and where to look for the lowest possible price on the best elliptical machine out there is the key here. Fortunately, you don't have to spend hours online searching for special offers, bargain deals, and price drops on running machine, elliptical bike, and step machine. Our massive community of bargain hunters regularly share Argos cross trainer verified discounts, as well as promos and voucher codes from eBay, Very, John Lewis, Costco, and from other reputable shops across the country. We also have a team of money-saving experts who always share essential tips and tricks on how you can get every day low prices on folding cross trainer and elliptical machine for sale when shopping both online and instore. Getting additional money off with the help of Latest Deals is easy. You can maximise your savings by simply using the latest cross trainer discount code of your choice upon check out. There are also voucher codes that can provide you with free shipping and gifts.